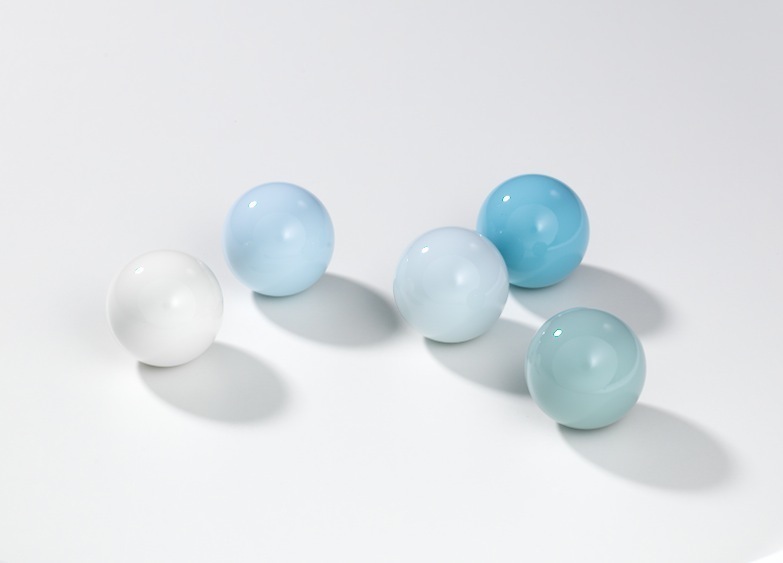 Material: Steel wire with white coating, wooden spheres in different colors. 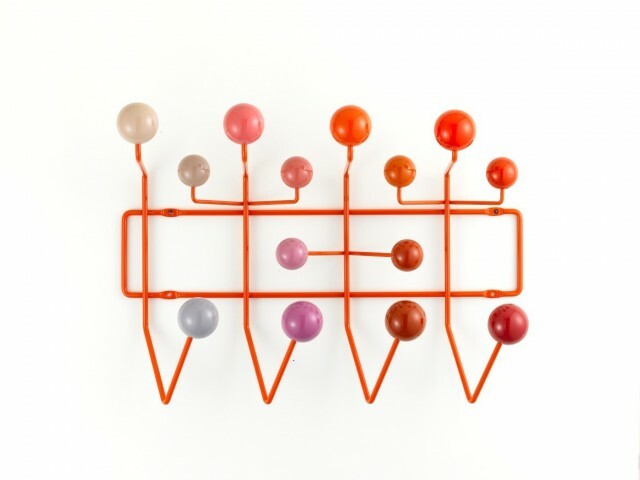 Charles & Ray Eames designed this piece in 1953. 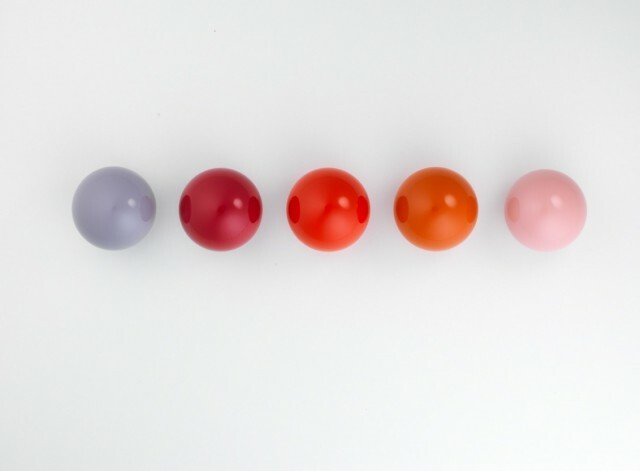 Used instead of simple hooks, these brightly-coloured wooden spheres were aimed at encouraging children to hang up “all their things”. Because the distance between the spheres always remains the same, Hang it all can be extended as required and is a cheerful alternative to boring clothes-hooks, not only for children’s rooms. It is considered one of the most iconic design pieces of the 20th century. Jongerius believes that in recent decades the paint industry has focused too exclusively on standardization and quantity. Thousands of colours of paint are manufactured, and all those colours are designed to look just the same under all conditions, regardless of the light source. We have sacrificed the quality of colours that show irregularities and thus provide a richer experience. 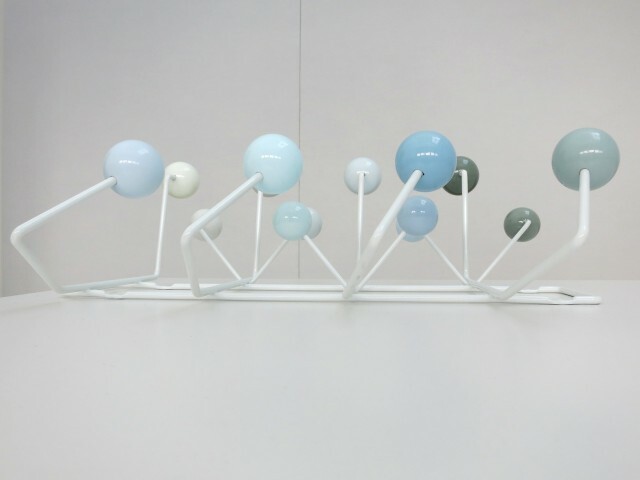 Daylight Wheel shows thirty-four colours in a broad palette of nuances when exposed to 5 different types of daylight. Some colours are stable, others much less so. Jongerius feels that this instability is sometimes worth showcasing. 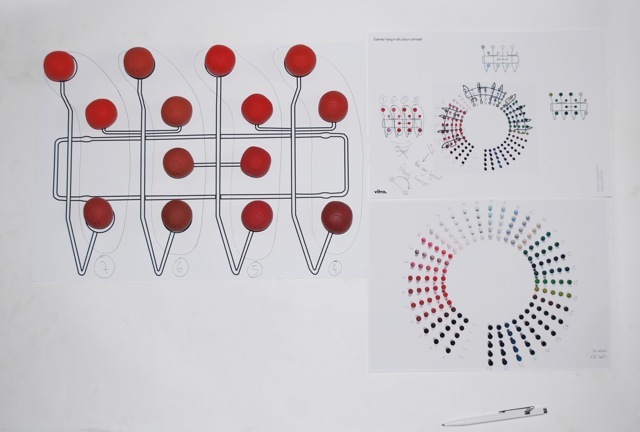 A rich array of colour nuances will be on display in the installation she has prepared for the Netherlands Architecture Institute (2011).She illuminated them with five different daylight lamps reflecting the average light intensity at specific times of day. This yielded different optical colour temperatures, which she used as a basis for new paint varieties by mixing pigments. 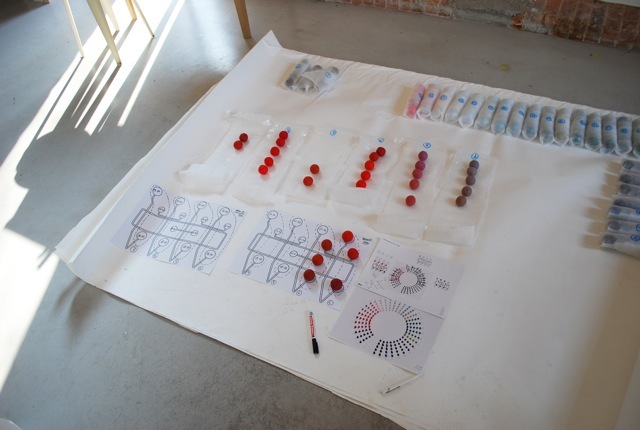 The resulting thirty-four colours are used as pigments through a artificial clay. The coloured dots are placed in a wheel on the wall, accompanied by technical data and information such as the times of day represented. 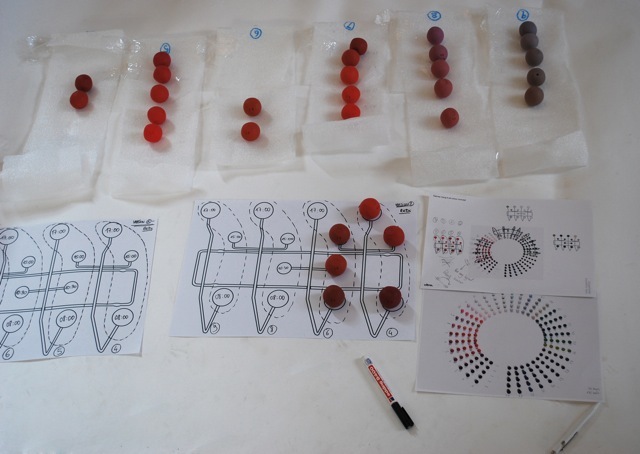 In 2013 the recipes of the Daylight dots are used to re colour the dots of the Hang-it-all of Eames. Hella also created sets of Magnet Dots - wall magnets you can use everywhere, at home or in the office. 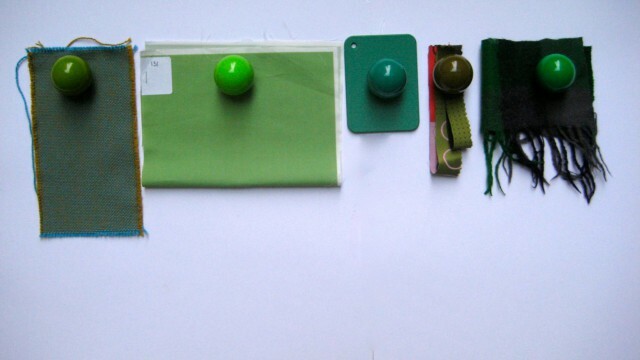 Each colour set of 5 magnets is a composition of one colour family: white tones, yellow tones, red tones, green and blue tones, as well as a happy multicolour set. 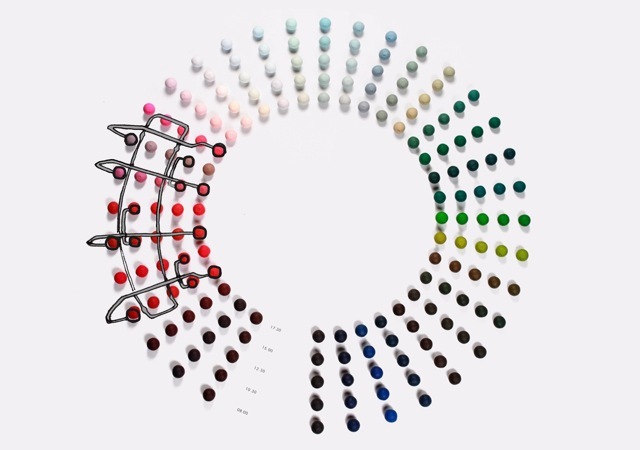 Each combination is a selection of colour from the Daylight Wheel.